It was perfect! I will come back for sure. Thank you to all the staff at YHA Oxford Street, everything was perfect! When would you like to stay at YHA London Oxford Street? 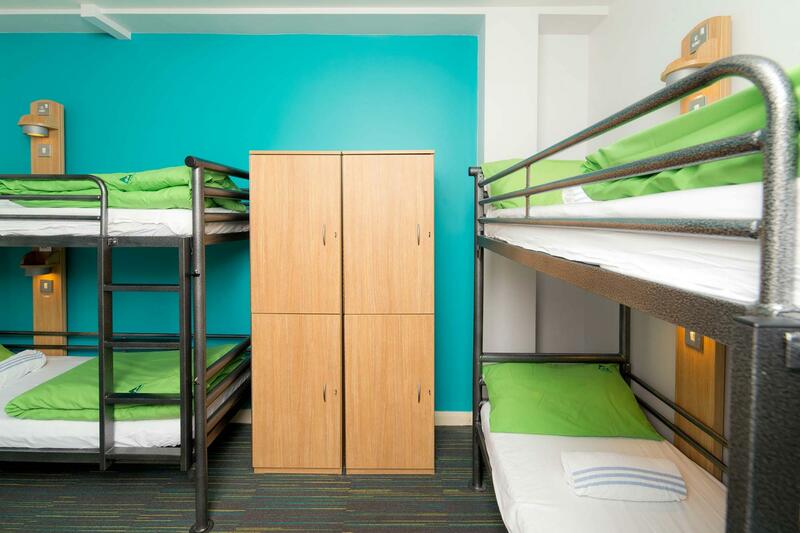 YHA Oxford Street is a modern backpackers hostel offering comfortable, yet cheap, accommodation in London’s West End. An eclectic mix of cafes, pubs, cinemas, quirky boutiques and alternative nightlife are all within a 5 minute walk of the hostel. London’s major attractions, including the London Eye, Madame Tussauds, London Dungeons and the Tower of London are all easily accessible and we sell discounted tickets at reception. If shopping is your thing then we're only a block away from London’s famous Oxford Street, Europe’s largest high street. This Youth Hostel has 104 beds over 36 Rooms including double, twin bunk, three bed, four bed private rooms and dorms all with shared facilities. Our bright and colourful lounge and dining area has comfortable seating and tables and chairs. The hostel also benefits from a self-catering kitchen and a laundry room with washing, drying and ironing facilities. This is a busy city centre hostel, so families might prefer YHA London St Pancras or YHA London St Paul's for a quieter London break. However, we are not a 'party hostel' and all ages are very welcome! The Undiscovered Walking Tour provides the perfect introduction to London history and, best of all, it's free for our guests! My background with YHA begins in Sydney 2004 where I lived the backpacker dream for five years before returning to my hometown of London in 2007. I had so much fun at YHA Sydney Central that I was keen to get involved with YHA London Central when it first opened in February 2008. Since then I have worked my way up the ranks at both YHA London Central and YHA London Oxford Street since it reopened in 2011 and have been the manager here since September 2014. YHA London Oxford Street is an oasis in Soho and your home away from home. Soho is the beating heart of London and you instantly feel the electricity amongst its bars, shops, restaurants and cafés where any taste or preference is catered to. A few favourites of mine include a delicious pizza from Pizza Pilgrims on Dean Street, a killer Negroni at The Star at Night on Noel Street and a lip-smacking cupcake from Crumbs & Doilies in Kingly Court. My advice is to walk as much as possible as the tube doesn’t give you a true sense of where you are. Leave here and head in any direction as there is something to explore and delight you. My team are happy to make a suggestion and tell you about our tours and tickets.